Cost: Very cheap for Europe! 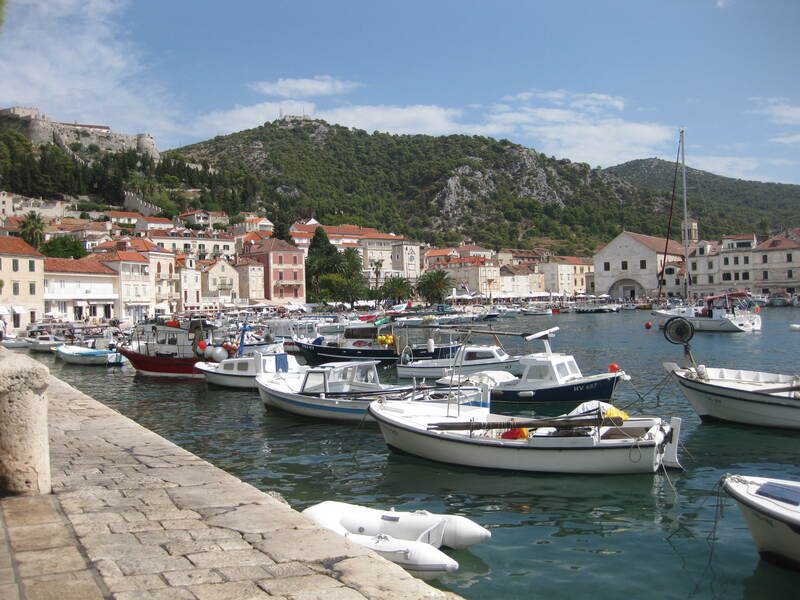 I visited Croatia in early September of 2012 with my friend Lisa. We were both moving to London and wanted to do a bit of traveling before we settled in. Croatia happened to come up in conversation one day as we’d both heard good things about the country, although I’m not sure where from. Our mothers were both a bit skeptical about us traveling there as they could still vaguely remember hearing about the conflict in Croatia during the Bosnian War in the early 90’s. However, Croatia is a completely safe and beautiful country to visit and is one of my two favourite European countries (Portugal is the other). Croatia shares a border with Bosnia, Serbia, and Slovenia, and dominates a large portion of the coastline along the Adriatic Sea, across from Italy. Croatia’s port city on the southern coast, Dubrovnik, is a popular destination for Cruise lines, but other than that, I don’t think many people have discovered Croatia’s beauty yet. For this reason, it’s the cheapest European country that I’ve visited (with the exception of flights) and is great if you love beaches and are traveling on a budget. Lisa flew into the capital, Zagreb, and I flew from London into the town of Zadar. We traveled around the country mostly by bus and ferry. We took the bus to Split, which is located halfway down the coast, and then took a ferry to Hvar, on the Korcula, and then took a bus to Dubrovnik. The buses are reasonably priced and the ferries are pretty cheap, although you need to check the schedules because the ferries to the different islands only run on certain days. There is a daily bus from the island of Korcula to Dubrovnik (it briefly travels on a car ferry), and there are buses that travel down the coastline daily. The only thing we discovered is that you need to be careful on Sundays as there’s reduced bus service and the trips are bound to be longer in order for one bus to stop in each town along the way. We ended up spending 7 hours on what we thought would be a 3 hour Sunday bus ride. The hostels are cheap for Europe, averaging about $16 each a night, and it’s pretty easy to get a private room. The only thing we noted was that it’s hard to find hostels that include breakfast, which seems to be standard in most other European countries. The food is also cheap, as is the wine. A litre of wine at a restaurant will usually cost you in the range of $10 (more in Dubrovnik). 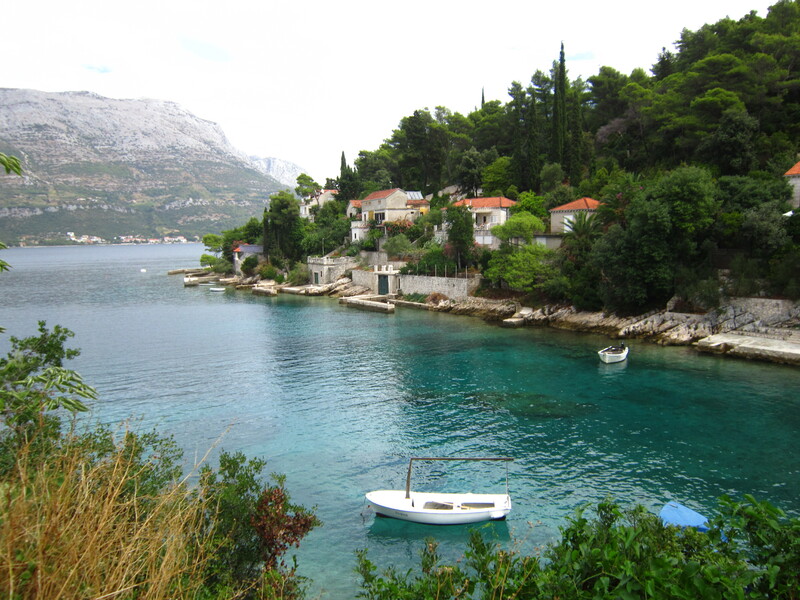 We mostly just traveled along the Croatian coastline; enjoying the beautiful blue hues of the Adriatic Sea. There are a few sandy beaches in Croatia, the most popular being on the island of Mljet. However, most of the beaches in Croatia are pebble or rock beaches. This didn’t make them any less appealing though. I enjoy that no matter where you go on an island, you can pretty much just jump into the ocean where ever you want. There’s lots of beaches, but we usually avoided the beaches in favour of finding nicer, secluded spots where we could lie out and go for a swim. We traveled to Croatia during the first week of September and just missed the end of peak tourist season. Apparently, if we’d been there just one week earlier, it would have been way busier and a completely different atmosphere. It was still really warm, but schools start back during the first week of September, so all the other vacationing Europeans tend to clear out by then. Croatia does have a winter season, so you can’t travel there all year long and expect to go to the beach. The one thing to watch out for at the end of the summer though is the rain. It rained on us pretty much every day, although it managed not to affect our trip too much. It would usually pour every morning until about 10 and then it would clear up for the rest of the day. Overall, I loved my time in Croatia and would love to visit again. My preference would be to spend most of my time along the coast and on the islands. It’s a great place to visit if you like beaches and the country also has an incredibly interesting history. There are some locations where there are still unexploded mines left over from the war, but they’re all marked and you won’t come across them on your trip. Make sure to take the time in Dubrovnik to learn about the breakup of Yugoslavia and the conflict in Croatia in the early 90’s. Definitely one of my favourite vacations!